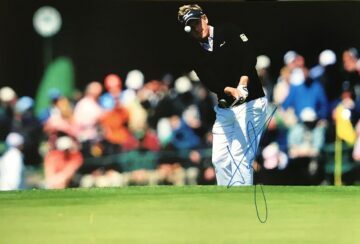 Shop our signed Luke Donald golf memorabilia, autographed photographs and sporting items from the England golfer. 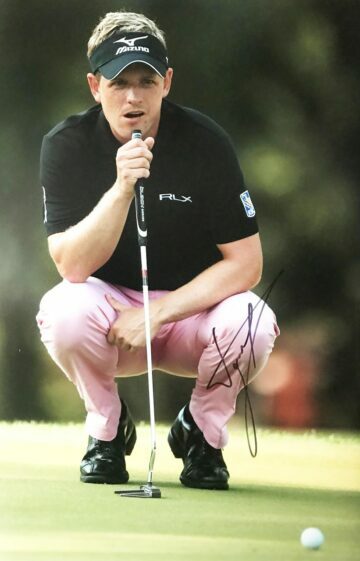 Signed Luke Donal golf gloves, shirts, photos, caps & clubs. Most with signing proof. All with Certificate of Authenticity, fast worldwide shipping & free UK delivery! 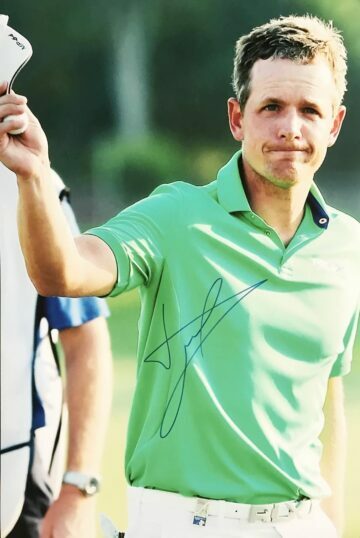 As one of England’s finest golfers, Luke Donald MBE is widely respected both in and out of the golfing community. 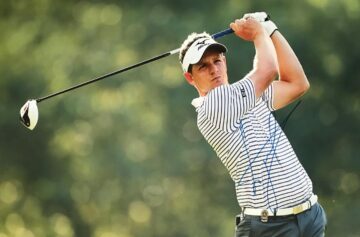 The former World Number One continues to dominate on the US-based PGA Tour, also participating in the European Tour. Donald began playing golf at a young age, playing junior golf at the Hazlemere and Beaconsfield clubs. He first won the championship there at the age of 15, subsequently moving to America to nurture his natural talent. 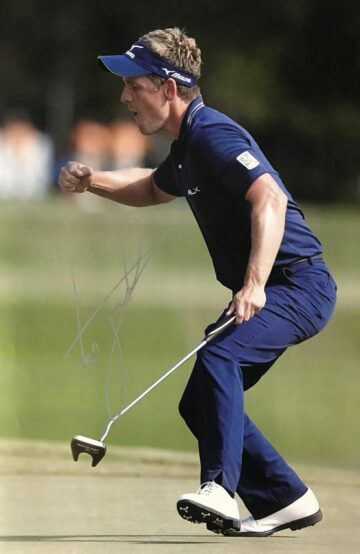 Donald’s most prolific year came in 2011, when he clinched his first World Golf Championship title – which is still the biggest victory of his career to date. He then claimed his highest ever World Ranking position of number three. Later he was voted PGA Tour Player of the year. Donald was awarded his MBE in 2012 for services for golf. 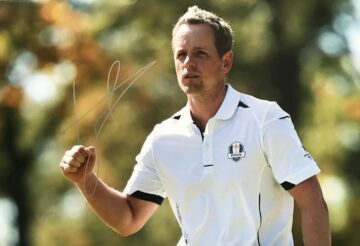 He was world number one for an incredible 56 weeks – with on-course earnings to date totalling a whopping $36 million. 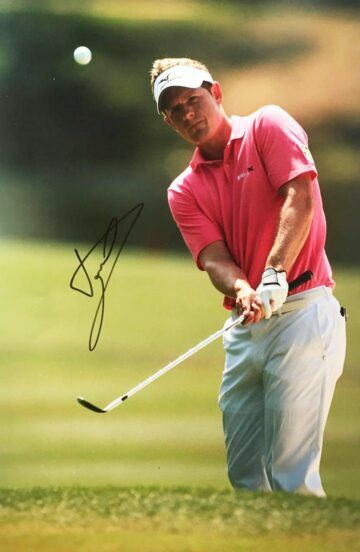 Find a fantastic selection of Luke Donald signed golf memorabilia here at Firma Stella. We personally vet and verify each piece for authenticity – so you can be sure your purchase is 100% genuine. 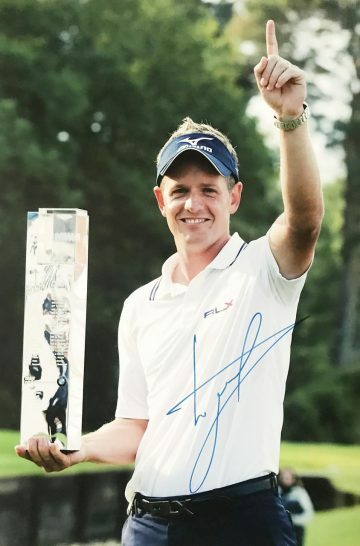 Browse our collection today to find signed Luke Donald golf balls, caps, clothing and photographs autographed by the man himself.